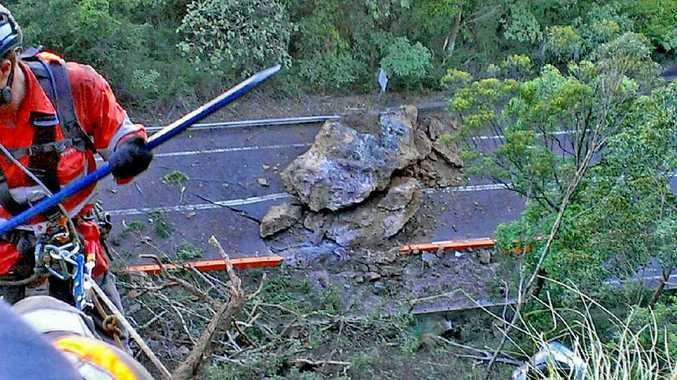 A FURIOUS Bruce Scott is demanding the State Government come up with a new plan for Cunningham's Gap after a massive fallen boulder closed the highway yesterday for 24 hours. 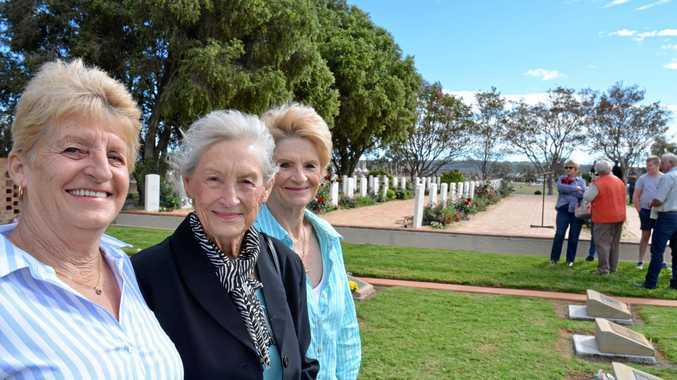 The Federal Member for Maranoa expressed his anger over continued closures while acknowledging the $40 million stabilisation work completed earlier this year. But he warned that without a "better engineering solution" continued road woes at the Gap would hamper business, freight and tourism as they had done in the past. Queensland Transport and Main Roads (TMR) advised late yesterday that the Gap would be closed in both directions for at least 24 hours, meaning the earliest it might reopen today was around 4pm. But don't hold your breath waiting - and it might be best to find an alternative route out of the region, such as the Gatton-Clifton Rd. Rock removal work in the past fortnight has seen lengthy delays and full closures on the highway at Cunningham's Gap and TMR has promised more will follow over the Christmas period. A spokeswoman was unable to say yesterday if the boulder crashing onto the road was unforseen or intentional, with engineering crews having worked this week to remove loose sections of the cliff face in the Gap Creek area. "The rock has crashed across the width of both lanes and is currently being removed from the road surface," the spokeswoman said. "Damage to the road surface will need to be assessed and repaired prior to the road reopening. "The boulder is five metres high, nine metres long and is about 300 tonnes. This has caused unknown damage to the road surface, which will be repaired as a priority. "Most of the work needs to be done by hand as machines cannot access the site." She said works at the Gap would continue in the coming weeks, with "temporary short closures" expected to continue until December 12. "Work will cease over the peak school holiday period and resume for clean-up in mid-January." Mr Scott said he would write to Queensland Transport Minister Scott Emerson today asking for a fresh assessment of the Gap. "Some people have suggested to me that we could install reinforced concrete covers over the road in some sections," he said. "I am not an engineer and I don't claim to know what the solution is, but this continued closing of the road is unacceptable to the community. "There has been some good work done, but clearly it is not the full answer." Check the Daily News Facebook wall for updates.